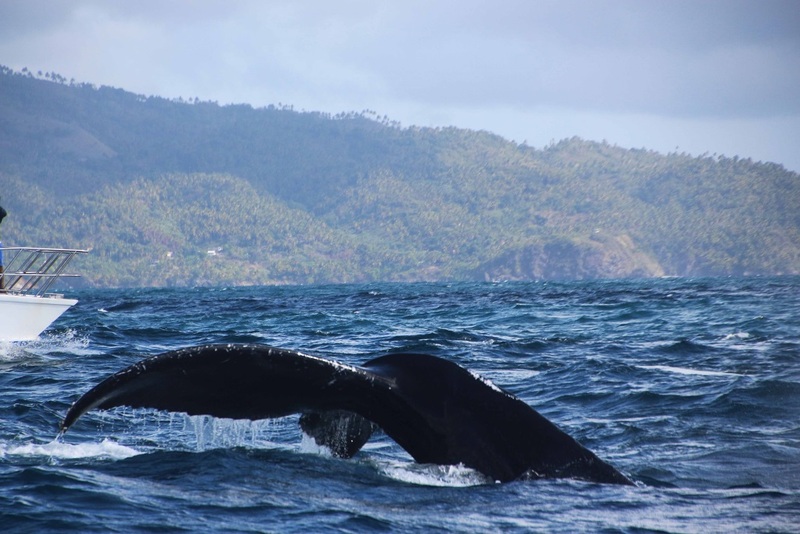 Going to the Dominican Republic from January to March you are in the right season for whale watching! 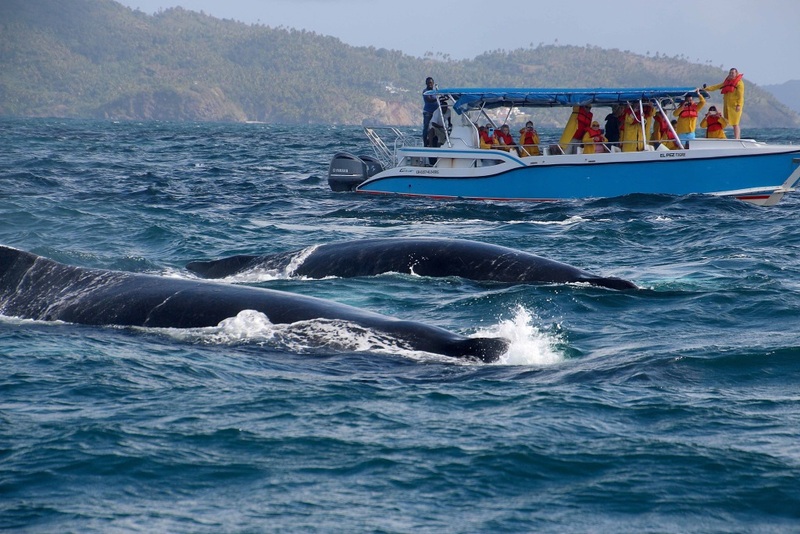 On the peninsula Samana every year the whales come to the bay of Samana for a few months to give birth and nurse the baby whale. After the end of March, they will swim South to the South pole. 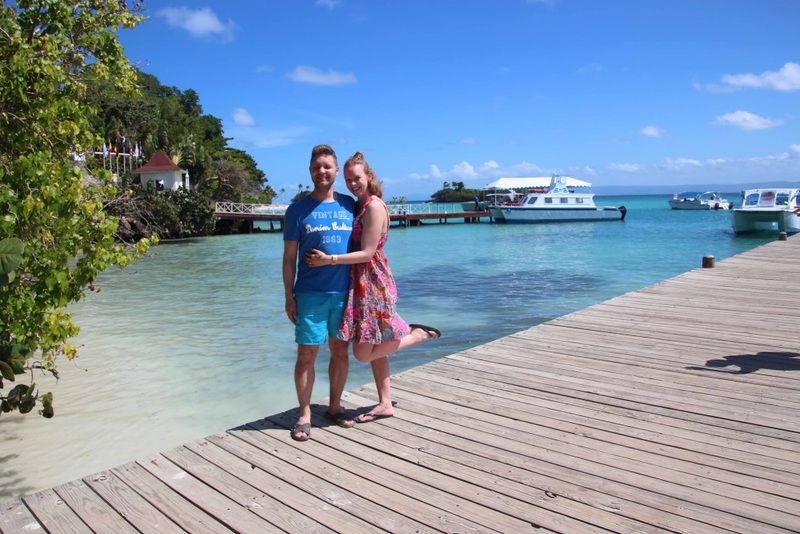 Me and my husband Timo were lucky to come to the Dominican Republic at the right time! 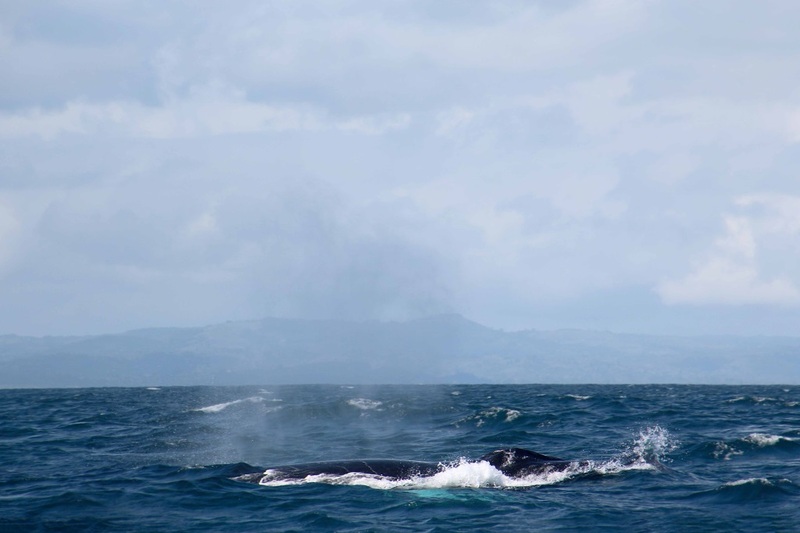 So my main goal was whale watching. 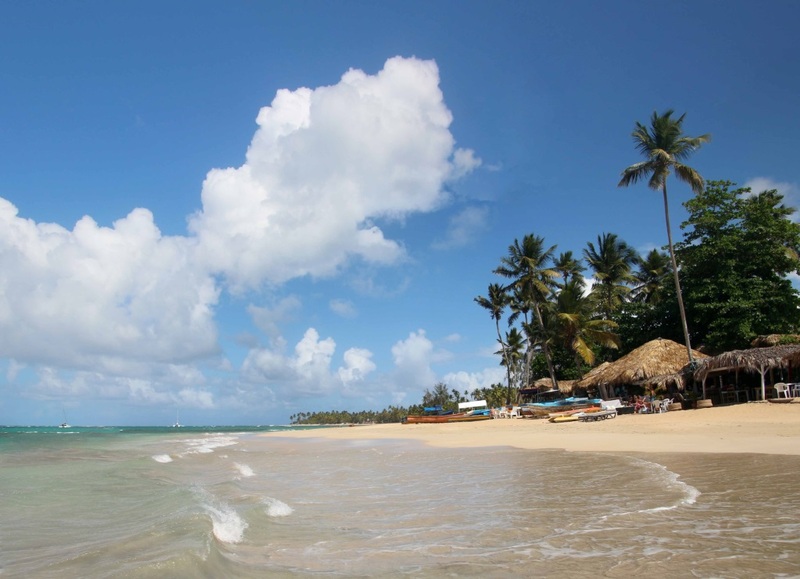 There were many options for excursions and day trips from Las Terrenas. We made our booking with Emmanuelle tours. 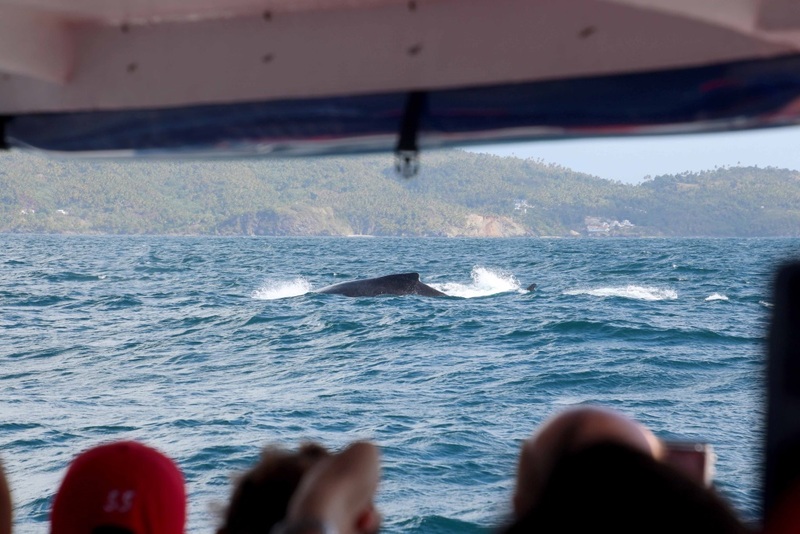 They offered a day trip to do whale watching in the morning and then go to Cayo Levantado to relax in the afternoon. This sounded really nice! We got picked up at our hotel at 7.30. 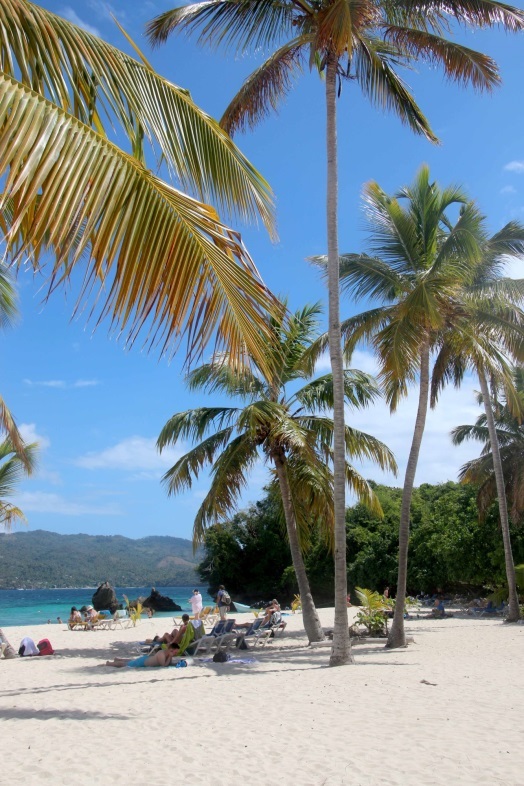 After we picked up more people, we drove to Samana. Our boat was not ready to leave so we needed to wait a bit. Our guide Ramon explaining everything carefully. He gave seasickness pills for those who need them. I took my own medication, hopefully it would keep nausea down. But we were lucky the wind was not as strong as yesterday. Our boat was a big speedboat and with 40 people on board it was busy. There were 3 seats on each side. 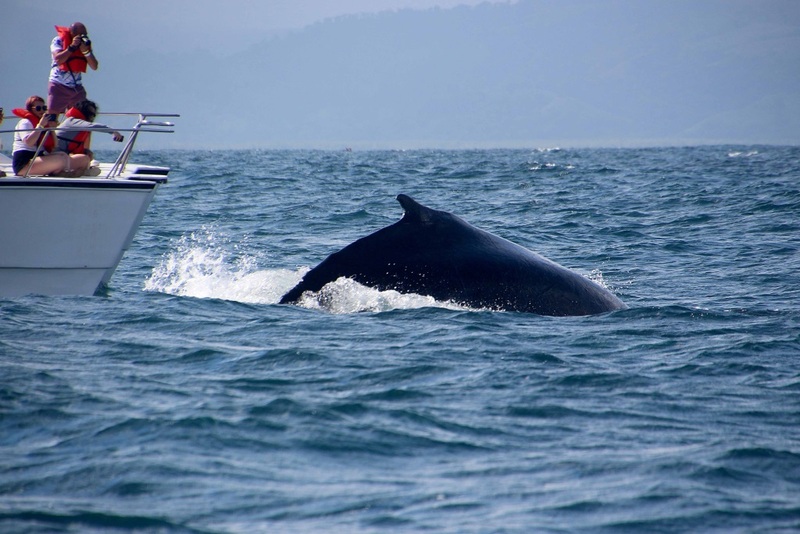 The rule was to remain seated when the whale in on your side of the boat. The other side can stand up. First we needed to sail to the place the whales could be. We passed Cayo Levantando. The weather seemed okay, but in the distance I could see a lot of rainy clouds. Luckily the wind blew the other direction and it didn’t bother us. But I got soaked wet with splash water. In the end they handed put raincoats. 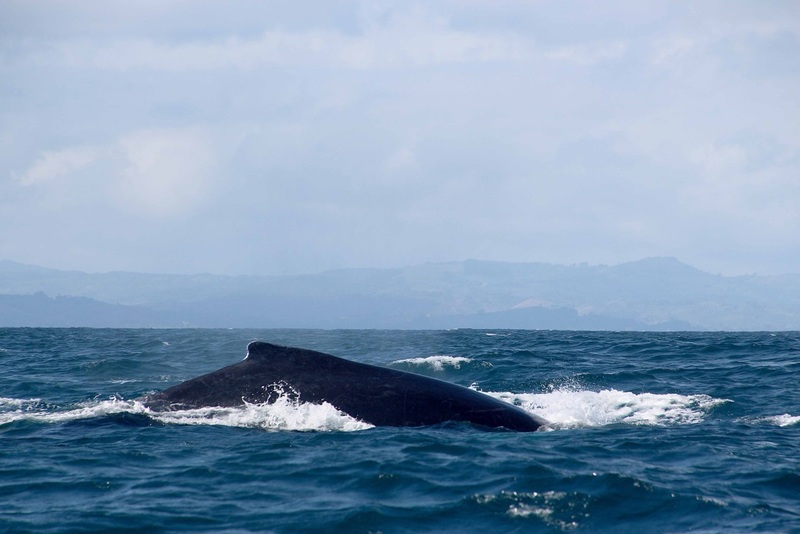 Very soon the first whale was spotted! There were 4 males and one female. They dove up and down showing their back. Sometimes they came really close to the boats! We followed them around a bit, sometimes other boats came closer. Only 3 boats are allowed at one time with the group of whales, so to keep it fair and to got other boats a change to get a look, we alternate. After about an hour the guide asked if we all got to see them so we could go to cayo Levantado. 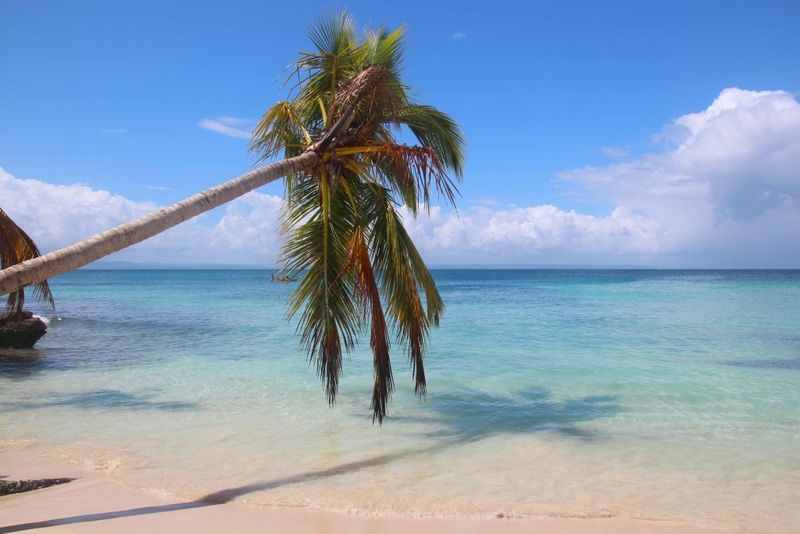 Cayo Levantado is a small island in the bay of Samana. 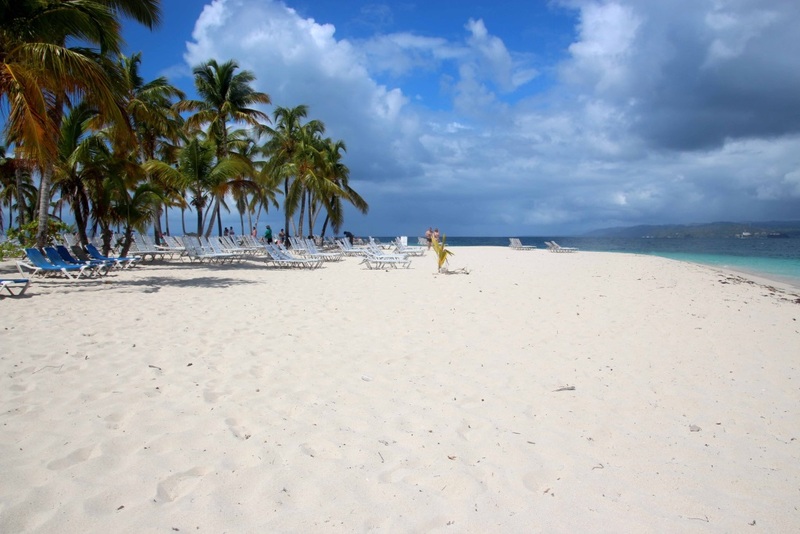 This beach is also called Bacardi island as they filmed the advertisement of Bacardi. 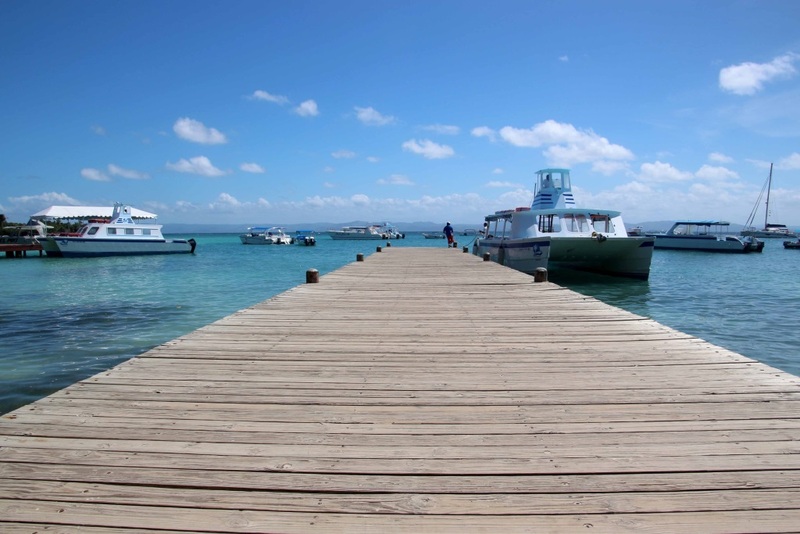 Sloweley we headed to Cayo Levantado. The white beach contrasts against the blue water. Guide Ramon did a small speech about the time of the dinner and showed us the place were we would get the food. The rest of the day it was all about swimming, relaxing and drinking rum. The food was nice and a soft drink was included. Sunbathing and swimming was our goal for the rest of the Timo on the island. Palm trees would give some shade and the water was refreshing. The lunch was a little chaotic as there were more groups in one seated area. And to some people it was not clear which buffet table was for their group. Our lunch consisted rice, pasta, salad, chicken, fish and food. The taste was good! We really enjoyed our day at the water and the island. For 3 nights we stayed in hotel Palococo. This hotel is situated near the big bus stop. It was 2 kilometer from the beach, but during booking they said they had a free shuttle. Unfortunately the shuttle bus was broken down so we needed to walk or get a moto taxi. 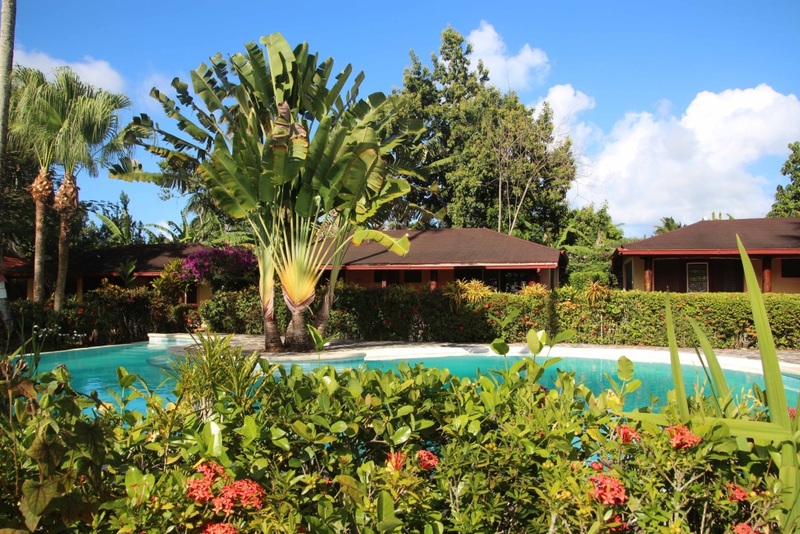 The hotel was nice, with 20 cabins in a lush garden set around a big swimming pool. The bungalows were nice! One downside is that the main road where the hotel is situated is really busy and noisy. 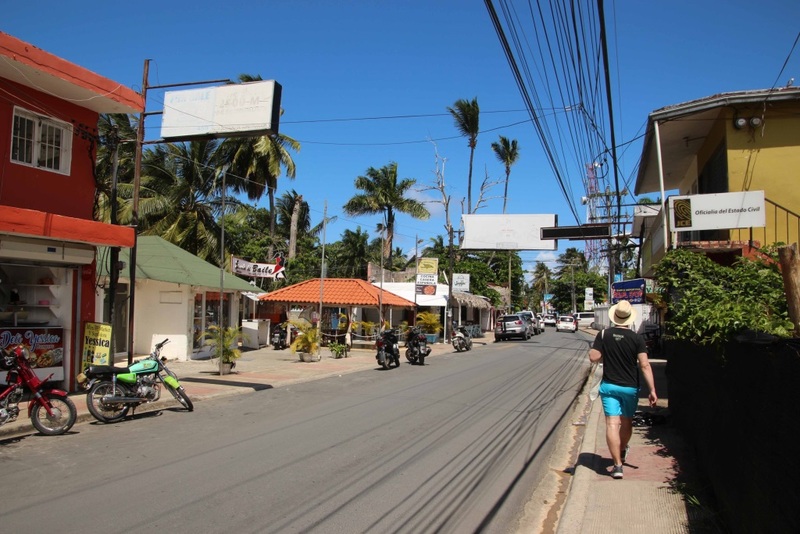 So not only at night you can hear the motorbikes, during the walk to the beach it’s really noisy and the motorbikes smell. 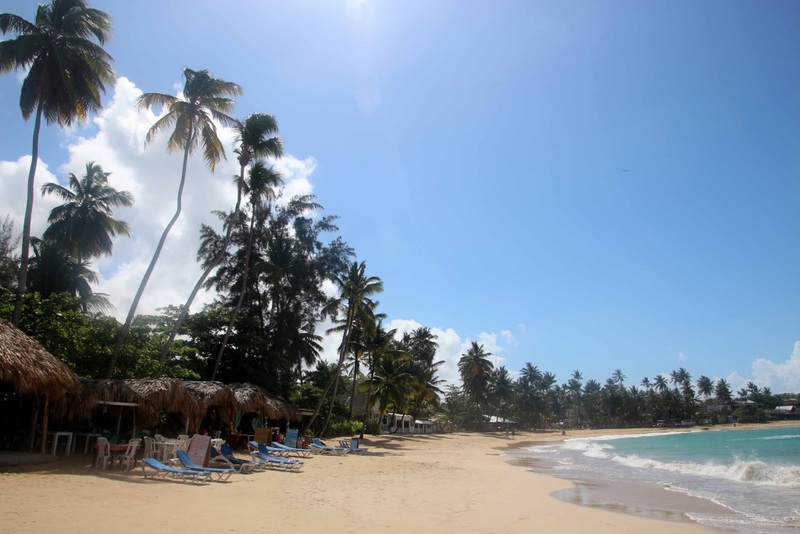 The beach of Las Terrenas (poppy beach) is a beautiful golden beach. 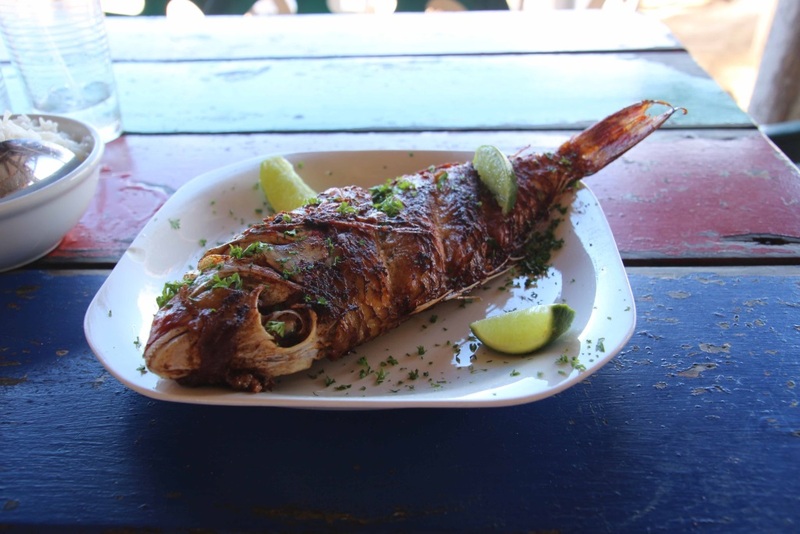 We ate a lunch and dinner at some beach restaurants and the food was really good! There are more restaurants and shops around the beach area, including a few tour agents. 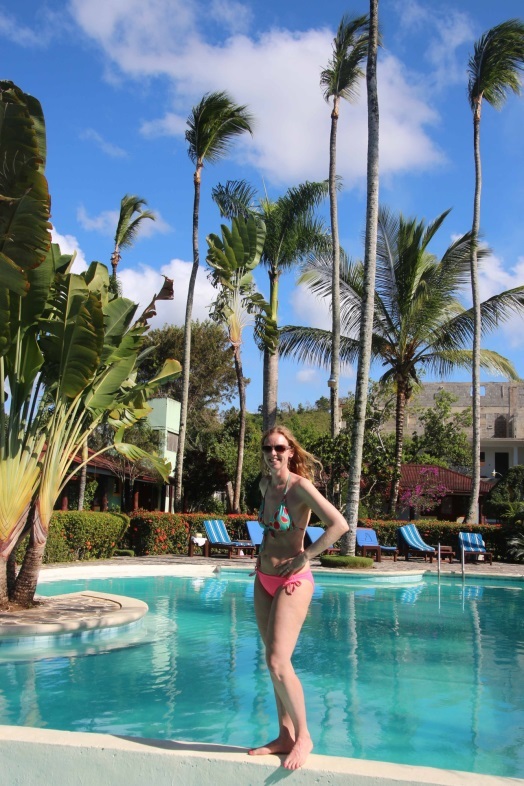 Las Terrenas has a good vibe and I wish we had more time to enjoy and explore further. 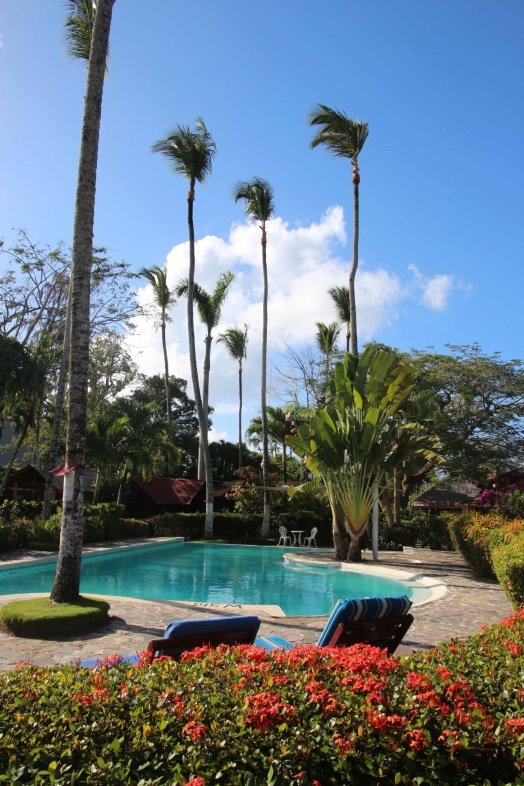 Another fun activity at the Peninsula Samana is visit waterfall El Limon. 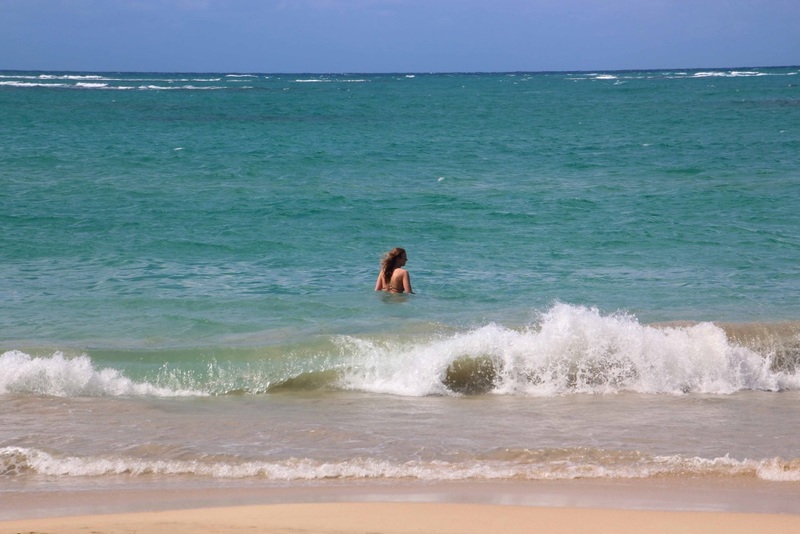 It's easy to do it on your own from Las Terrenas.